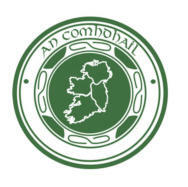 Starting with a handful of members in 2014 and no feis system in place, the members of An Chomhdhail USA initiated an ambitious expansion program that has seen the organization quickly now boasting six feiseanna in Florida alone. The membership has grown exponentially as teachers and dancers realize there are other options in the USA for high quality competitive Irish dancing. While the majority of the USA members are in Florida, the organization has seen expansion in other states. An Chomhdhail USA participates in the Open Platform competition circuit in North America to allow its dancers to compete more frequently. Open platform is a relatively new concept in North America, wherein dancers are allowed to compete outside of their own organization, and vice versa. The competitions are run by the rules of their respective organizations, and all dancers must abide by them regardless of affiliation.